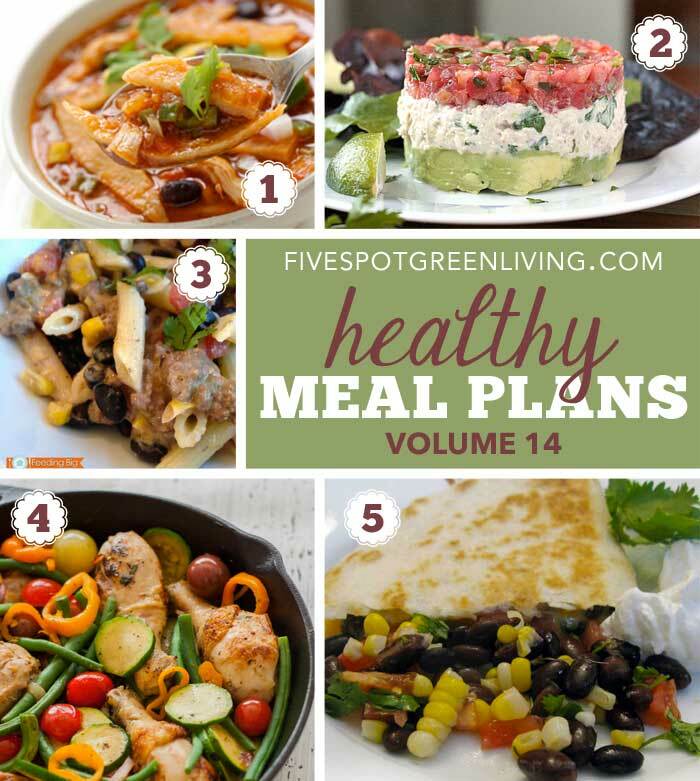 Healthy Meal Plans Monday Volume 14 is now LIVE! Bloggers link up your best real food recipes! Let’s show everyone that you CAN create healthy meal plans with quick and easy weeknight meal ideas that families love and can afford! I’ve installed printing buttons on my meal plan posts now so you can both save these healthy meal plans and shopping lists as pdf files AND print them out to take to the grocery store! But of course I recommend the pdf version that you can send to your smartphone! I’m changing things up a bit this week – I am implementing a NEW linkup at the bottom of the meal plan every week. Link up your best recipe posts and get featured on Healthy Meal Plans Monday Volume 14! 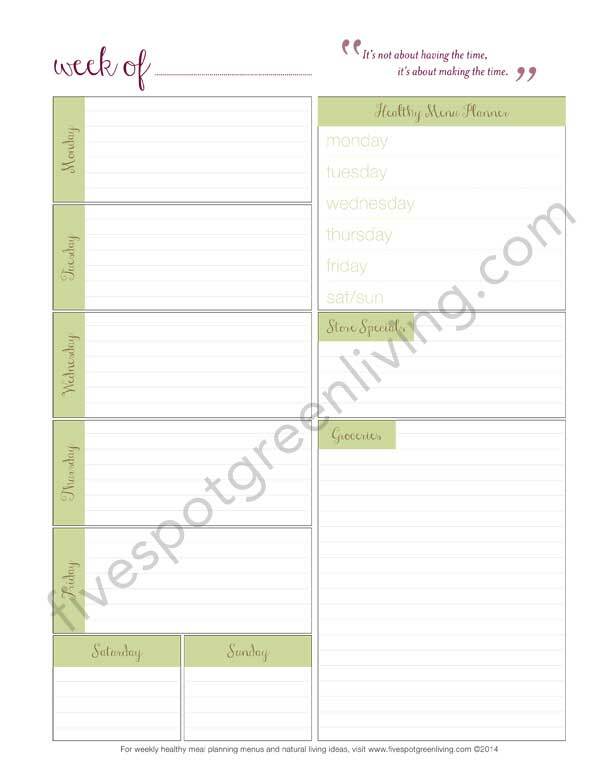 Make sure to download the weekly menu planner for easier healthy meal plans and shopping! Click the image to download. At this party you can link up anything you have made as long as it’s made with REAL ingredients and not anything that comes in a box or with processed items! I will feature my favorite links at the Healthy Meal Plans Monday Volume 14 party and pin them to my Pinterest board so please share your link, visit other links, and pin the links you like! Check out the other links, leave your links, leave a comment and link back to this post! It’s not required but makes things fun – I love getting to know other bloggers! Thanks so much for including my Tex Mex Taco Pasta recipe! I love your ideas here. I agree with you when you say we need to stop dieting and eat more healthy. It is a goal of mine! Thanks so much for including my recipe! Your meal plan (with awesome printable) is such a good idea. I admit, sometimes I’m even last minute with my recipes and meals, so this would help.